← Time for Tough Sentences for teachers who break the law. 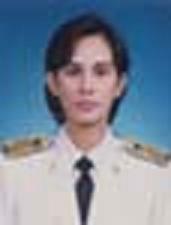 Posted on April 29, 2011, in Kanlayanee si Thammarat school, Thai Teachers and tagged kanlayanee, kanlayanee school, Nakhon SiThammarat, phasuk, phisuk, teacher. Bookmark the permalink. 16 Comments. Why is she still teacher? If she do this surely the school remove her! No? Supaporn. The school knows she does this but they are trying to protect her. Very sad that they think protecting a bad teacher is more important than protecting the children. Apparently, you aren’t very nuch concerned about privacy laws, and human rights. You have no right to publish a person’s name and image, not even if he/she were found to be guilty. It seems that you too aren’t abiding to the law. Ever heard of the pot and the kettle? Greg – reading your other comments (under various names) it seems you are not prepared to protect kids so someone has to do it. You say you have teachers in your own school who do this and clearly you do not report them to the relevant authorities. It only takes an anonymous call to Childline to do your duty. And, I should add, we take very careful legal advice and it is perfectly permissable to print providing what is said is true. Maybe you should also notify the Nation and Bangkok Post? I am sure they would not knowingly break the law but openly post the names of the offenders. Just so sad she still a teacher. Too many parents scared to do anything to stop people in power. She is a pig, she teach me before and she is just a pig. I will hate her forever and same all my friends too. Please can you delete this? Teachers are threatening students to find out who tell you. Please. Koy we are very sorry that the teachers at the school are threatening you. However we cannot remove the articles as they help expose a child abuser and maybe protect more kids in the future. I am sure you will be fine, if they continue to threaten you please tell us their names (in private by email) and we will see what we can do. It is good that you show everyone what she does. I see her do so many times and always pity the little kids she beats. You may be missing one point. HOW did she become a teacher? There’s some sort of hierachy that schools follow — and the people in the upper positions are there because they are relatives of some one’s relatives etc. etc. Doesn’t matter if she severely disables a kid (unless the kid’s parents are above the hierarchy) — she’ll be ‘gracefully dismissed’ — transferred to another school. This is the unfortunate case here. The people with the money/influence get away with whatever they want. But this is why I am so interested in this site (thanks to a link at Thai Visa) — there may be some hope yet to restore the rights of Thai children all over the country, and I’m glad you guys have taken the initiative. I have to admit though — that am guilty of using corporal punishment in the past (when I was a ‘beginner’) I soon realised that it did no good. It simply DOESN’T work and I feel ashamed of what I had done in the past. I now seek alternative measures. My latest is disciplining the students through FUN and education. If I don’t have to time to sit down with them and give them extra exercises to do, I just try to teach them board games, classic RPG (like D&D) — try to figure out their interests and use that to get along with them. When you’re on their good side and both teacher and student are comfortable with each other — then discipline isn’t very hard to achieve. I admit, this is easier said than done, but it is possible. Unfortunately, TIME is the largest culprit and these poor students have such little free time for the “fun” stuff!! Animaster thank you for the comment. Can I ask you? When you used CP were you in Thailand? When you used it was it pre 2005? We dont have big issue with pre 2005 as although we dislike it the fact is pre 2005 it was legal. One thing i very much disagree with is your statement that they just get “moved on”. Yes, this often happens but now many teachers are being taken to court. We have 10 teachers awaiting court at the moment and we will press for the maximum sentence of one year in prison. We usually achieve this although if they plead guilty the sentence is usually suspended. However even when suspended their licences are revoked so they cannot teach (officially) again. Doesn’t matter when I used CP. The fact is that it was wrong — it’s still wrong, and I’ve long since owned up to it. CP is one thing, but there are many other problems that plague Thai society. Why would wealthy politicians put their kids through public schools in the first place? Which makes one wonder: how are such students “disciplined”? Their parents were called and they shrugged off the charges. They told the school to take it easy, they pay the tuition — let it slide.